Cellino & Barnes is here to ensure you that your questions will be answered and you will be kept informed throughout the litigation of your case. When an injury victim asks us to take on their mesothelioma case, the first step is to confirm that they have been diagnosed with mesothelioma or other malignant asbestos-related disease. This information is obtained through their medical records, in particular, a pathology report. A Cellino & Barnes attorney will meet with you, at your home or other place of convenience, to discuss your medical condition and how you were exposed to asbestos. Our attorney will listen to your story. 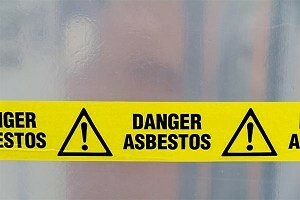 We want to know when you were exposed to asbestos and when you began having medical problems. Because the incubation period of asbestos can be anywhere from 20-40 years or more, we understand if you are uncertain of exact dates and circumstances. Please remember, the consultation with our attorneys is free. If you hire Cellino & Barnes, we will take the information you are able to provide and our legal team will begin doing the necessary research to piece things together. Throughout our investigation, we will be in constant contact with you. We will sit down and go over various asbestos products with you in order to help determine the type of asbestos product you may have been exposed to. Also, once we determine where you were exposed to asbestos, we will begin our investigation into which corporations were responsible for manufacturing the asbestos. At some time, after we obtain all the necessary information, we will need to have a deposition. A deposition is a legal proceeding where you are asked under oath a number of questions related to your asbestos exposure and medical condition. The attorneys at Cellino & Barnes will work diligently to resolve your case as soon as possible. It is important to note, however, that the time for each case can vary depending on how many defendants are in the case and your particular circumstances.